Westminster John Knox Press, 2017. 192 pages. A Bigger Table is all about Christians reflecting our God, who pours out his great love on everyone. 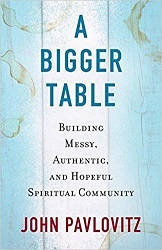 John Pavlovitz talks about a bigger table that includes radical hospitality, total authenticity, true diversity, and agenda-free community. He begins by telling his story, about his upbringing in the Catholic church and how he eventually became an evangelical pastor. But he had made some LGBTQ friends and his brother came out as gay, and when he started to question the church’s attitude toward them, he got fired. Now he talks about that as the best thing that ever happened to him. There are many reasons the local church is so vulnerable to such all-or-nothing extremism; not least among them is the way so much of our Christianity has been immersed in relentless us-vs.-them culture-war rhetoric. Scaring people into the kingdom by enlisting them for combat has been the evangelical church in America’s bread and butter for the past fifty years, and it’s worked out pretty well. It’s been a reliable way to generate urgency among the faithful and to get people worked up, but ultimately it’s also been costly. Frame the spiritual journey as a stark good-vs.-evil battle of warring sides long enough and you’ll eventually see the Church and those around you in the same way, too. You’ll begin to filter the world through the lens of conflict. Everything becomes a threat to the family; everyone becomes a potential enemy. Fear becomes the engine that drives the whole thing. When this happens, your default response to people who are different or who challenge you can turn from compassion to contempt. You become less like God and more like the Godfather. In those times, instead of being a tool to fit your heart for invitation, faith can become a weapon to defend yourself against the encroaching sinners threatening God’s people – whom we conveniently always consider ourselves among. Religion becomes a cold, cruel distance maker, pushing from the table people who aren’t part of the brotherhood and don’t march in lockstep with the others. It’s easy for religious people to be intimidated by those seeking a bigger table. This was always the Pharisees’ struggle. It wasn’t a lack of faith or lack of love for God, but a resistance to the idea that God could speak in new ways, could come packaged differently than they expected, and could exist outside the box they built for God. When we dare to step outside that box, when we ask the most difficult questions, and when we unearth our own spiritual junk, others are reminded of the unattended longing in their own hears. Christian people rarely get angry at theological claims I make in my blog posts or when I’m speaking somewhere, but almost always at the questions I ask, because they are forced to entertain those questions themselves whether they care to or not. Those questions press against the tender spots where their doubt sits buried just below the surface. Then he talks about building a bigger table. And it’s all based on the ministry Jesus had. One of the most powerful examples of Jesus’ table ministry is recorded by all four of the Gospel biographies. Jesus has been teaching in a remote spot and the place is packed. It’s getting late and those gathered, miles away from the nearest Chick-fil-A, are getting hungry. Jesus, drawn to the need by his disciples, responds by feeding the whole lot of them with the small bit of food present. As the story goes, thousands have their bellies filled and some get to-go boxes. As so often happens when reading these stories, we can easily be tripped up by the miraculous aspect of the moment, preoccupied by the mechanism rather than the meaning of it all. If we see this meal as merely a how story, we will be forever burdened with intellectually explaining the exponential multiplication of the bread and fish, trying to wrap our minds around the physics and food science involved – and we will be doomed to miss the point gloriously. But if we view this as a who story and a why story, we will find the clear invitation for we who seek the ways of Jesus. We can see the heart of God for hungry people. We can see the tremendous challenge of expanding the table. This is where the miracle takes place. I can’t fathom the transformation of a basket of food to accommodate a multitude (heck, I’m not even sure how our toaster works), but I can see the boundless compassion of the open table and endeavor to re-create that on whatever spot I stand at any given moment and with the people in my midst. Jesus feeds people. That’s what he does. And as striking as what he does is, equally revelatory is what he doesn’t do here. There’s no altar call, no spiritual gifts assessment, no membership class, no moral screening, no litmus test to verify everyone’s theology and to identify those worthy enough to earn a seat at the table. Their hunger and Jesus’ love for them alone, nothing else, make them worthy. This is a serious gut check for us. For me, going to the beach is always like meeting God. There’s that moment when you make your way down the path that cuts through the dunes. As you walk farther, the quiet noise in the distance gradually becomes a welcome roar. You crane your neck as if unsure it’s all still there. Your pace quickens as the sound rises and the wind grows, and suddenly you’re emptied out into the full, vivid majesty of it all. And you breathe. It never fails to level me. It is never commonplace. It is always holy ground. If you’ve been to the beach, you understand exactly what I mean. If you haven’t – well, you just won’t. That’s the thing about the ocean: until you experience it, no one can explain it to you, and once you have experienced it, no one needs to. The love of God is this way. For far too long, Christians have been content with telling people about the ocean and believing that is enough. We’ve spoken endlessly of a God whose lavish, scandalous love is beyond measure, whose forgiveness reaches from the furthest places and into our deepest personal darkness. We’ve spun gorgeous, fanciful tales of a redeeming grace that is greater than the worst thing we’ve done and available to anyone who desires it. We’ve talked about a Church that welcomes the entire hurting world openly with the very arms of Jesus. We’ve talked and talked and talked – and much of the time we’ve been a clanging gong, our lives and shared testimony making a largely loveless noise in their ears. They receive our condemnation. They know our protests. They experience our exclusion. They endure our judgment. They encounter our bigotry. And all of our flowery words ring hollow. It’s little wonder they eventually choose to walk away from the shore, the idea as delivered through our daily encounters with them not compelling enough to pursue for themselves. Our commitments to hospitality, authenticity, diversity, and community can be empty words, too, if we don’t put them into practice. Church, the world doesn’t need more talking from us. It doesn’t need our sweet platitudes or our eloquent speeches or our passionate preaching or our brilliant exegesis. These are all just words about the ocean, and ultimately they fail to adequately describe it. The world needs the goodness of God incarnated in the flesh of the people who claim to know this good God. As they meet us, they need to come face-to-face with radical welcome, with unconditional love, with counterintuitive forgiveness. They need to experience all of this in our individual lives and in the Church, or they will decide that it is all no more than a beautiful but ultimately greatly exaggerated story about sand and waves and colors that cannot be described. I want you to think about your eyes for a moment. I want you to think about the way you see the world, especially if you’re a person of faith. When you encounter war, poverty, violence, addiction, human trafficking, and all the other things that horrify you, what story do you tell yourself? Usually we fall into one of two camps. Some Christians look at the dysfunction, injustice, and discord around them as sure signs of a fallen creation: proof of a sinful, rebellious culture rejecting God and paying the price. They see suffering as the by-product of wickedness, the unpleasantness they rub shoulders with every day clear symptoms of the moral decay of everything. These followers of Jesus primarily see sin, and the lens through which they view the world around them and the people in their path. With this as their primary filter, they tend to respond with a burden to save souls. The answer to everything becomes conversion, salvation as eternal rescue from the cancer that afflicts us all. It is next-life focused. Or they see Jesus as an instant, magic cure-all for the behavior in others that they find objectionable or uncomfortable. They imagine that simply “coming to Jesus” will eliminate all the immorality that may or may not bother Jesus – but that certainly bothers them. Apparently they’ve come across more fully perfected Christians than I have. Other followers of Jesus see something different when they look at the mess in front of them. They see pain. They see need. They see longing. They see an opportunity to bring restoration here and now. They are focused as much on this world as they are on the next. These, I’ll contend, are the eyes of Christ, and these are the eyes of those who would build the bigger table. We are learning to see differently than we once did. In the ninth chapter of the Gospel of Matthew, Jesus looks upon the crowd gathered before him and is deeply burdened by what he sees, not because of what they are doing or not doing, but because of what is being done to them and what it is creating in them (9:35-38). He is moved in that moment, not by some moral defect but by their internal turmoil. Just as when he feeds the multitudes, Jesus is not concerned with behavior modification, as we so often imagine; he is most concerned with meeting the needs that prevent people from knowing their belovedness, and he offers an expression of God’s provision. Matthew records that Jesus, seeing those in front of him, notes not their conduct, but their condition, observing that they are “harassed and helpless, like sheep without a shepherd.” This realization prompts a passionate, public appeal for those who would do the work of restoration and healing in the name of God. The distinction between seeing sin and seeing suffering is revelatory if we really let it seep into the deepest hollows of our hearts. Jesus’ default response to the fragile humanity before him is not contempt but compassion. That gives you a taste of what’s in this book – an effort to follow Jesus and be like Jesus in making our churches more welcoming to more people, of sitting down together and listening to more opinions and caring about more people. I especially like the chapter where he talks about the Mama Bears – because that’s a Facebook group I’m part of, a private group for Christian mothers of LGBTQ kids. The group is wonderfully supportive, and they are where I first heard of John Pavlovitz, since the group reached out to him after he wrote a blog post, “If I Have Gay Children,” talking about how what is important is loving those children. So, yes, the bigger table involves welcoming LGBTQ folks, too. The expanding of the table isn’t an effort to abandon our Christianity or to reject the Church. It’s an attempt to jettison everything else but that which is essential to reflecting Jesus in the world and to sharing in redemptive community with people in a way that is so loving, so embracing, and so open, that it seems queer to the rest of the world. And that will be what brings revolution. One of the great comforts in my travels to build a bigger table and to right-size God has been a simple reality that I’ve embraced, one that I hope seeps deep into your heart whatever your theological leanings are: God is not out to squash you. This is an incredibly difficult truth to claim if you’ve experienced religion through the lens of fear that told you otherwise. . . .
For much of my life, this guilt, pressure, and fear of exposure had left me fairly exhausted. But I am slowly but surely walking into a new story, gradually but most definitely jettisoning those things that don’t ring true anymore and traveling much lighter. My reverence for God has never been greater, my wonder never more full, my desire to know my Maker never stronger. The difference is, I now see God through the lens of one who is beloved, not one who is beloved with conditions. Life now is not a test to try and reach God, but an opportunity to notice God. I am seeking Jesus more deeply than ever – not to escape punishment, but to discover life as it is best lived. My faith is not about fleeing something horrible, but running toward something beautiful. I am daily responding in gratitude for the beauty of the gift of this world, not in the hope I can eventually escape it. I come to the Scriptures now not as divine dictation, but as the journal entries of those who came before me and who have walked this road of asking, seeking, and knocking. . . . I return again and again to this place, to the belief that God is fully aware of the road you and I are on, that God is far more merciful and forgiving than we would ever be with one another or with ourselves. My prayers are different now because of it. After all, this is God we’re talking about. If God is everything we’ve been led to believe God is, God has such patience with us that, were we to embrace it, it would make us rightly fearless. And once the fear of “getting it wrong” departs we can be completely ourselves, sharing the full contents of our hearts – hopefully with God’s people, but at the very least with God. This book contains a lovely vision of reaching more people by demonstrating the amazing love of God for all people. Encouraging and inspiring. 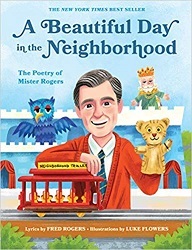 Clarion Books (Houghton Mifflin Harcourt), 2019. 40 pages. 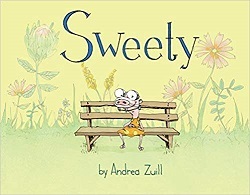 This picture book is a delightful way to approach the topic of liminal spaces – being neither here nor there – trying to figure out where you belong if you come from a mixed-culture marriage. In this case, Gondra is a little dragon. Her mom is an Western Dragon, and her dad is an Eastern Dragon. “In the West, dragons breathe fire,” Mom said. “Isn’t that dangerous?” I asked. We learn more about differences between dragons of the East and the West, including how they fly, how they look, where they live, and how they feel about treasure. 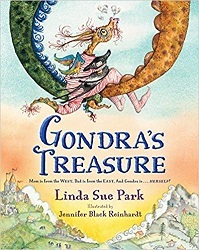 And Gondra is proud to have some characteristics from each of her parents, but also to be entirely herself. 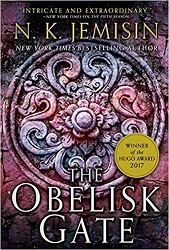 I like it when an author uses fantasy to present a situation many different readers can relate to, rather than looking at one specific human instance of a mixed marriage – they can see how a dragon mixed marriage relates to them. It’s time for Sonderling Sunday, that time of the week when I play with language by looking at the German translation of children’s books. 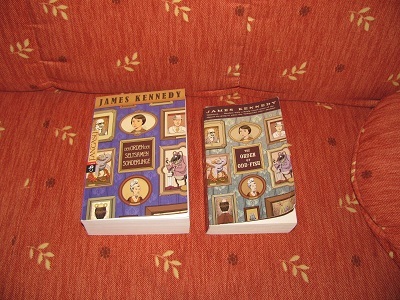 This week, we’re back to the book that started it all, The Order of Odd-Fish, by James Kennedy, otherwise known as Der Orden der Seltsamen Sonderlinge. = Jo und der Belgische Scherzkeks waren allein. Aren’t you glad to know how to say these things? = schmutzigen Pelze, die grüne Skibrille und eine riesige Windel aus Rohleder. = Doch Jo widerstand dem Drang mit letzter Kraft, obwohl sie zusehends schwächer wurde. = Ich bin vollkommen einsam und verlassen. = Jo knirschte mit den Zähnen. = Ihre Stimme klang brüchig. = Eine Woge von Angst durchflutete sie. “Brave girl!” = Tapferes Mädchen! “Jo clenched her fists.” = Jo ballte die Fäuste. = Es war ein schreckliches freudiges Kribbeln. And that’s all for tonight! With all your might, do resist the mad urge to run away screaming! 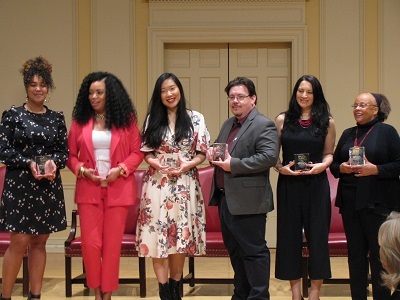 Last Friday, March 29, I got to attend the Walter Awards at the Library of Congress in Washington, DC. 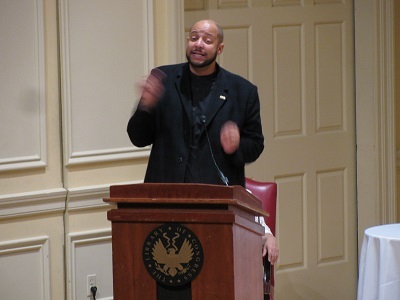 The Walter Awards are sponsored by WeNeedDiverseBooks.org and named in honor of Walter Dean Myers. A Symposium was held in the morning featuring the Honor Award winners, and the awards were presented after a coffee break. Ellen Oh spoke first. She was the one who began WeNeedDiverseBooks with a hashtag on twitter five years ago. Since then, they incorporated, and have distributed all the benefits I mentioned in the first post, and this is the fourth year of the Walter Awards. It’s not just about seeing ourselves. It’s also about reading the stories of others. It’s about building empathy in children. They need books that accurately reflect the world they live in. The first year of the Walter Awards, they had 50 submissions. This year, there were 244 submissions. They are proud of the good work they are doing! Chris Myers spoke next, in honor of his father. He said it’s nice to hear so many nice things about his dad and almost makes him forget the other things! Chris told about a trip he took to Papua New Guinea. When he got off the boat on a small island, the villagers were excited to see someone get off the boat who wasn’t white. They had no mirrors on the island or photos or electricity. He was struck by the immediacy of what he could do – he painted all the kids on the island. The universality of that problem struck him – we’re all starved for images. Then he talked about the group of us gathered in honor of diverse books. We’re all Family. We’ve got characters and conflicts and cool uncles (Jason Reynolds). Five years in is a good time to note our common mission and conflicts. I know we’re on the same side even if I don’t like your approach to solving the problems. But we’re family. We need to have creative fights together. Our job is to say, “We can do better.” This family has continuity. We’re on an island with few images. Sit there and draw every kid. Thank you for keeping that continuity going. Then it was time for the Awards! We’d already heard from the Honor authors in the Symposium panel, so they accepted their awards with applause. The Winners each gave an acceptance speech. The Honor winners in the Younger Readers’ category were David Bowles for They Call Me Güero and Veera Hiranandani for The Night Diary. 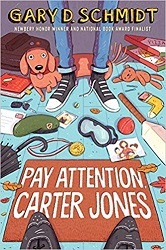 The 2019 Walter Award winner for Younger Readers was Jewell Parker Rhodes for Ghost Boys. 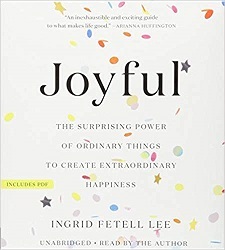 Her editor Alvina Ling asked her to write this book. Her own child was growing and becoming more and more subject to racism. And images of Emmett Till have haunted her for 65 years, leaving a stew of passion in her heart. Her other books were practice for this one. In fact, the adult books she’s written were practice to get good enough to write for children. 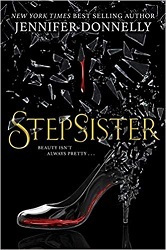 This book nearly undid her. It took years and came out in bits and pieces. Who was her lodestar? Walter Dean Myers. His commitment to excellence shines. She got to meet him when she wrote her first book, Ninth Ward, and she fan-girled shamelessly. He inspired her to keep writing Ghost Boys. She always thought Emmett Till was innocent, but she’d already written that scene of the book before the truth came out and the woman admitted that she’d lied. She told what had really happened, and Jewell was able to rewrite that scene. Another change was made after the ARC was already printed – she realized she needed to add a beat that Carlos could also have been shot for playing with a toy gun. Then she told us a secret: In 2014, her daughter had a baby and in the same year applied for a WNDB fellowship. Her book will be published next year! WNDB is changing the world. Next came the presentation of the awards in the Teen category. Tiffany Jackson received an Honor for Monday’s Not Coming, and Emily X. R. Pan received an Honor for The Astonishing Color of After. 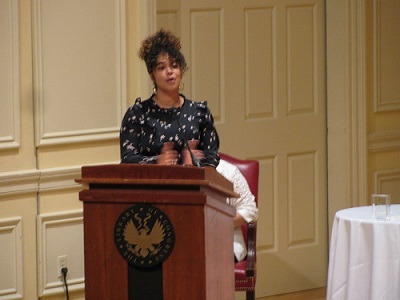 Elizabeth Acevedo was the 2019 Walter Award Winner in the Teen category for The Poet X.
Elizabeth Acevedo began her acceptance speech talking about when she was an 8th grade English teacher in a school with many African American kids and many Latinx kids. But she was the first Afri-Latinx teacher in a major subject at that school. She felt “simultaneously seen and invisible.” It was at the intersection of many parts of her life. That’s what prompted her to write for young people. That was the spark. She wanted the kids to see themselves. 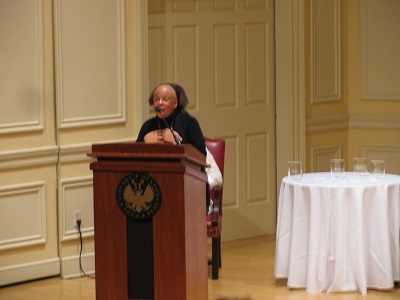 She read Walter Dean Myers and interned at the Library of Congress, so it feels like a homecoming to be in this space. She was writing for young people in the first place, writing in secret, not knowing if anyone would read it. She worked on it for years. She is so honored to win this award. Those words emboldened her to keep writing. They told her there is room for her in publishing and a need for the stories she wants to tell. In another connection, her editor was also the editor of Walter Dean Myers for many years. Today’s an arrival of sorts. Write about people of all backgrounds. Writing love onto the page is pivotal. Writing can be healing – for the writer and the reader. She wants to write characters as nuanced as the people she loves. After the Awards Ceremony, there was a book signing. Since I already had a copy of almost all the books from my year on the Newbery committee, I didn’t purchase any more, but hung out behind the official photographers taking pictures of the awardees. 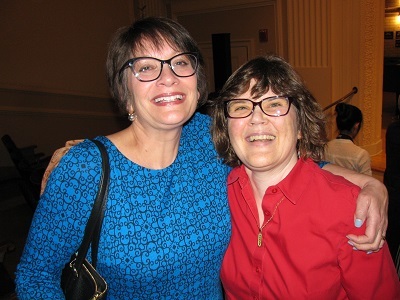 And, yes, I took a minute to introduce myself to Meg Medina, “our” Newbery Medal winner!